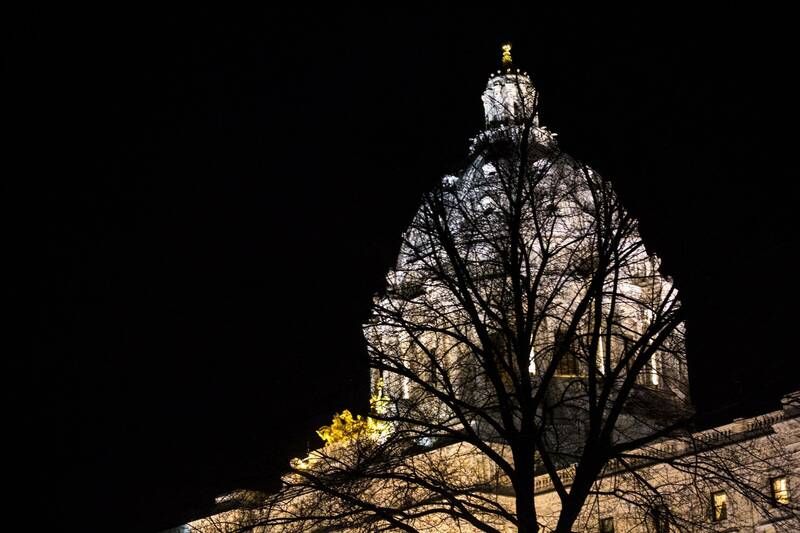 Minnesota lawmakers considering new legislation for reducing greenhouse gas emissions got their second crash course Thursday morning. This time, it was on all the ways climate change is already harming the state. From lower corn crop yields to more heat-related deaths and Lyme disease to species and habitat loss, several University of Minnesota scientists painted a bleak picture of the state's current climatic health — and what could happen if humans don't address the root causes of climate change. It was an opportunity for the lawmakers on the state House's new Energy and Climate Finance and Policy Division to get up to speed on current research on the effects of climate change, from the researchers themselves. Committee members are expected to take up bills to cut Minnesota's greenhouse gas emissions — the root cause of climate change — this session. Climate change is already hurting Minnesotans' health, and it's only going to get worse, said Dr. Laalitha Surapaneni, who handled the public health portion of Thursday's presentation. "All doctors across all specialties, nurses, we all agree that climate change is a right-here, right-now problem that's affecting the health of Americans," she said. And it's exacerbating already existing health issues, she said. • Asthma and allergies: Both are getting more common as the climate warms. A warming climate makes Minnesota's allergy season longer and makes the pollen that can trigger asthma attacks more prevalent. Warmer weather also causes pollutants to linger in the air, further worsening air quality and making it harder to breathe for people with existing respiratory conditions. • Extreme heat: Warmer weather is perhaps the best-known effect of climate change. And with higher temperatures come more heat-related illnesses and hospitalizations. • Tick- and vector-borne illnesses: West Nile virus and Lyme disease are becoming more common as Minnesota's climate becomes friendlier to mosquitoes and ticks. Surapaneni noted the state's warmer, wetter winters make for more ticks in the summer — and more of the diseases they carry. • Mental health: Surapaneni said people dealing with climate-enhanced extreme weather events like floods or drought are likely to experience post-traumatic stress. And she said studies have linked higher rates of depression and suicide with Midwest farmers hit by drought. • Environmental justice: Surapaneni said people of color are exposed to 40 percent more polluted air than white people. "This is unfair. We all have a right to clean air, clean water and a stable climate," she said. A longer growing season with a warmer climate might sound like a good thing for farmers, but it's not, said Jessica Gutknecht, a professor at the University of Minnesota's Department of Soil, Water and Climate. Winters are warming faster than any other season in Minnesota. And when winters don't get cold enough, they don't kill off pests like the corn rootworm or soybean aphid. Weather conditions are getting wetter and warmer overall, which can lead to causes more crop damage, disease and soil loss. Hotter summers make for lower corn yields — and mean some livestock like pigs aren't as hungry, shrinking meat yields, too, Gutknecht said. Bonnie Keeler lives southern Minnesota, so she told the committee what the future likely holds for Faribault, Minn. By 2100, she said, the town's average temperatures are projected to be 5 to 10 degrees higher. Air conditioning demand is likely to increase by 300 percent, and there will likely be 54 more days each year with temperatures higher than 95 degrees. By the middle of this century — sometime between 2040 and 2070 — she said, summers in Faribault will be more like those over 500 miles south. "These are the cities of our grandchildren," said Keeler, an assistant professor at the Humphrey School of Public Affairs. And in cities, the urban heat island effect makes all of that even worse. Buildings and paved surfaces absorb and trap heat in urban areas, making them warmer than areas surrounding them. Climate change is also making cities wetter, for which, Keeler said, Minnesota's infrastructure isn't ready. Major rainfalls of six inches or more are increasing in Minnesota. Three cities broke the state's annual precipitation record in 2018. "We're facing damage to transportation infrastructure, to property," she said, "and this will be especially problematic to our water and sewer systems. Which then leads to an increased burden on emergency management and a growing toll on businesses homeowners and insurers." "We might have to get a new state tree," said Lee Frelich, a forest ecologist at the university. The state tree — the red pine — is getting pushed out of its current range as trees accustomed to warmer climates move north, he said. That's just one small component of how Minnesota's biology is transforming under the effects of climate change. Warmer weather and sporadic drought are driving major changes in Minnesota, shifting the boundaries for the state's forests and prairie. For example, Frelich said, Minnesota's prairie could "easily" extend as far north and east as Grand Marais by 2100. The boreal forests that blanket Minnesota's northeastern quarters could disappear entirely from the state. Without urgent climate action, Frelich said, Minnesota won't look anything like the state we know. "[Under] a business-as-usual situation, we could literally be the new Kansas," he said. "I don't know about you, but I didn't move to Kansas for a reason."